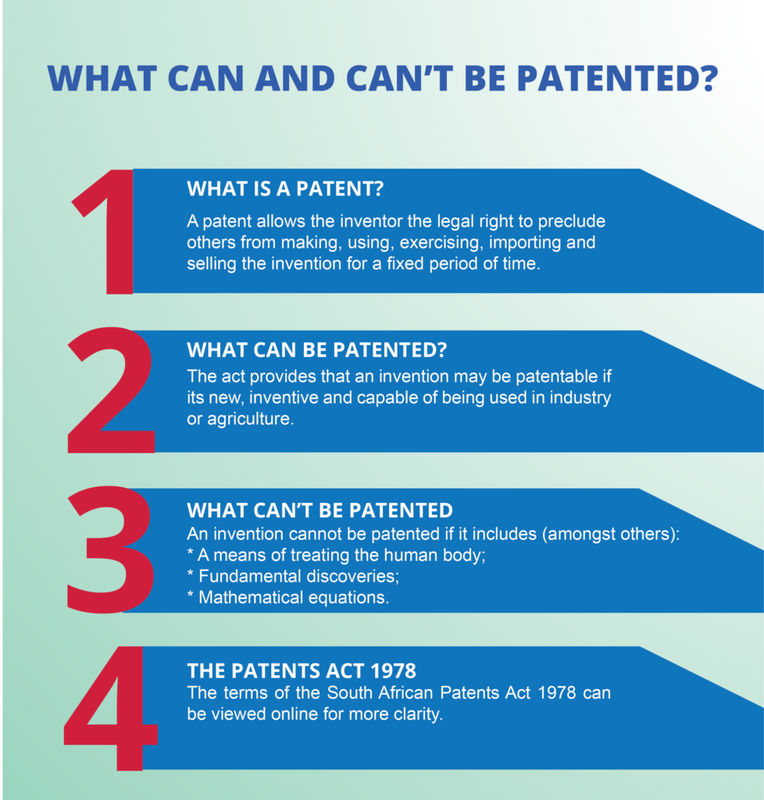 What is a Patent & What can be Patented? A patent is a legislative right granted by the government that allows the inventor the legal right to preclude others from making, using, exercising, importing and selling the invention for a fixed period of time. Essentially, it is a contract between the government and the inventor: in exchange for full declaration of the invention in the application, the government offers a monopoly to commercialize the invention. The aim of granting patents is to encourage individuals to spend time and research innovative technology and processes and bring new discoveries to the marketplace. Once the patent expires, the invention will enter public domain immediately and remain there as a benefit to the public. Why should I protect my Invention? In order to make money from your ideas, you will need to secure the suitable form of legal protection. When you protect your invention, you are in a position to control who is able to profit from it and who cannot. If your invention has trade value, with the right amount of protection, you increase your ability to be paid for efforts in developing your idea. The granting of a patent in South Africa is subject to legislation and in particular the Patents Act. In the act guidelines are given as to what may be patented. The act provides that an invention may be patentable if its new, inventive and capable of being used in industry or agriculture. The Act then provides a list of exclusions which may not be patentable under South African Law. Exclusions, in terms of the Patents Act include, amongst others, methods of treating the human body, discoveries and mathematical equations. In order to apply for a provisional patent, you do not require a patent attorney. As the inventor, you are able to submit a provisional patent for your invention – but is it a good idea? A provisional patent is only valid for 1 year and grants no executable rights. In order to apply for a complete patent specification, you are by law required to obtain the services of a patent attorney for the drafting thereof as well as the filing of the patent application. The drafting of a patent specification requires immense skill and experience. Patent law is an extremely technical legal field, and even though your invention may be simple, drafting the patent specifications, more often than not, not a simple task. If you are planning on writing and filing a provisional patent specification, it is advised to have a patent attorney look over what you have written and advise accordingly. Here at Barnard Incorporated, we offer professional and experienced attorneys that are qualified in Intellectual Property. Visit our website for more information today!